Let's get organized! 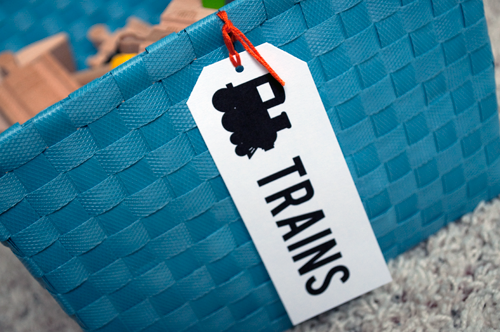 Putting tags on your kids storage bins or boxes really help you AND your children. Since there is both a picture and a word they will work for any age. Just download the pdf file and print out on any color of paper you'd like. 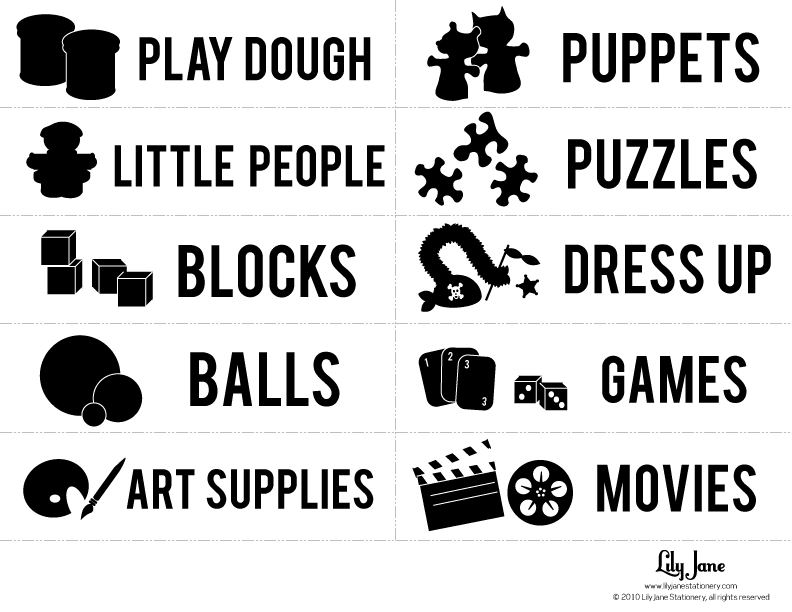 Since the lettering and the pictures are both in black you don't have to print them on white paper. Cut them in a rectangle or as shown in the sample. You can either punch a hole in the top and hang as a tag or put it directly on your boxes. Yeah, you've got this! If you'd like to purchase these bins there's a direct link to the source for them on the post from Lily Jane. They are cute! Head over to see both sets of tags. Here's the post to the first set of tags, and Here's the post to the second set of tags.